ALLEN COUNTY, Ind. 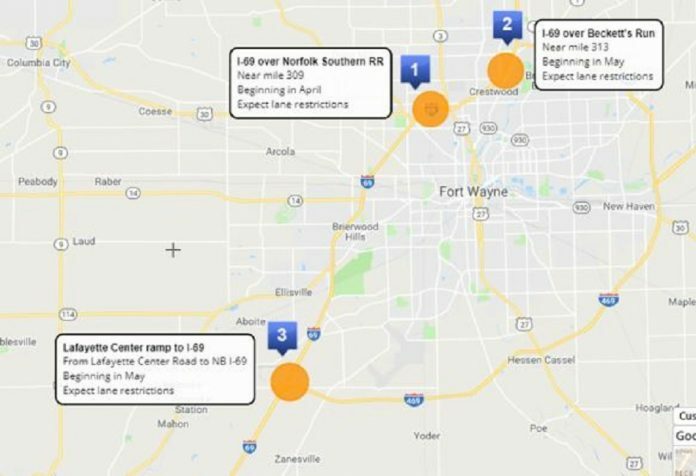 (WOWO) – A tentative timeline has been announced for construction on multiple bridges along Interstate 69 in Allen County. The construction is scheduled to be completed by June. The Indiana Department of Transportation warns drivers to use caution and watch for lane closures in construction zones, as well as signs for reduced speed limits.